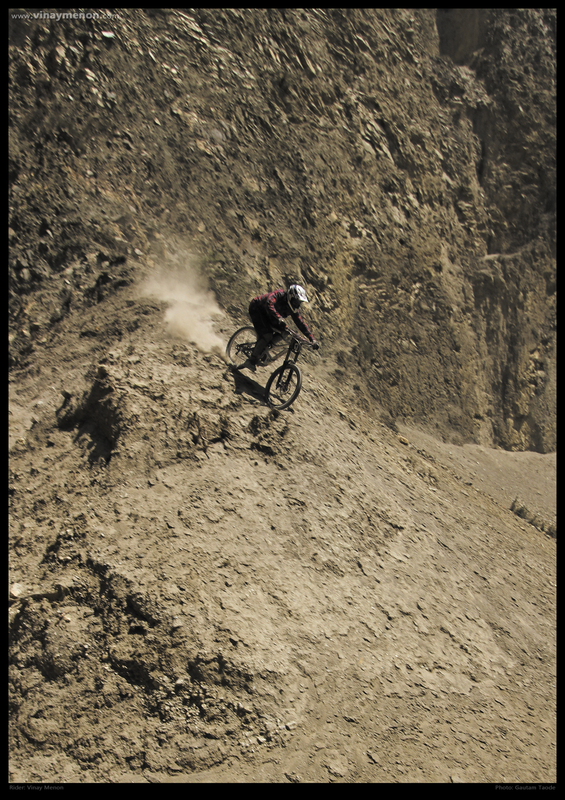 The month of May and its scorching temperature was boiling the fork oil on my bike, So I decided to fly out to Nepal for a few weeks of big mountain shredding and catching up with old buddies. Landing into Kathmandu in two hours from Mumbai was FAST! Something that hadn’t changed from my earlier visit was the chaotic traffic system, something that is pretty close to what we have here in India. Old cars as taxis, moto bikes blazing through the city streets, people walking all over the roads like possessed zombies, armed cops (thanks to the bandh due to political issues).It’s an interesting hit once you enter Kathmandu city. After meeting up with the KBS (Kathmandu Bike Station) clan, building my bike, I headed to a buddy; Tangi Rebours’ house who was hosting my stay in Kathmandu. 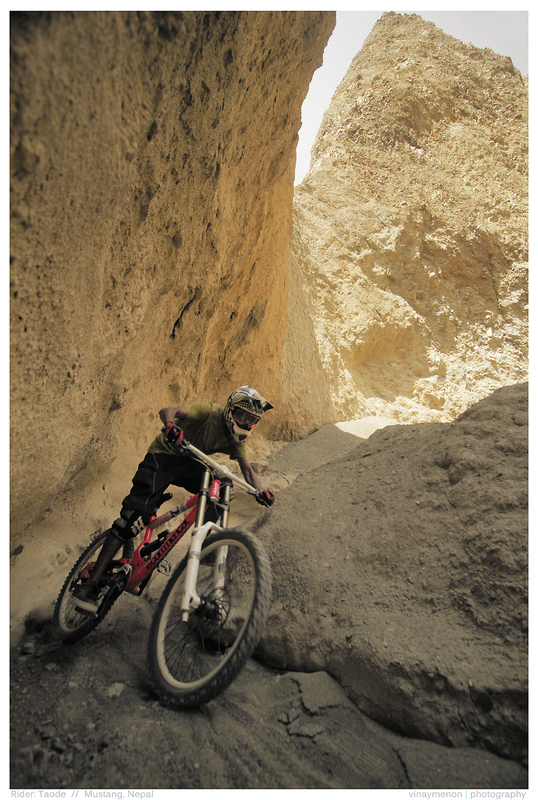 Tangi, a French bikaholic who calls Nepal his home now is an All-Mountain wizard and is responsible for spreading the good word of mountain biking across Nepal’s interiors. 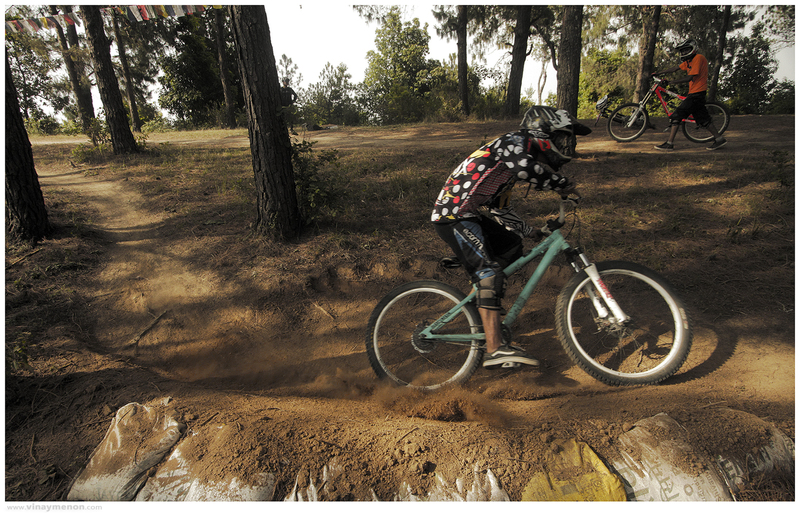 Day one of my visit, Tangi and I decided to ride some flowy descents on the outskirts of Kathmandu city. An hour of road riding and some climbing later we were ready to ride down some very dense trails down into paddy fields. 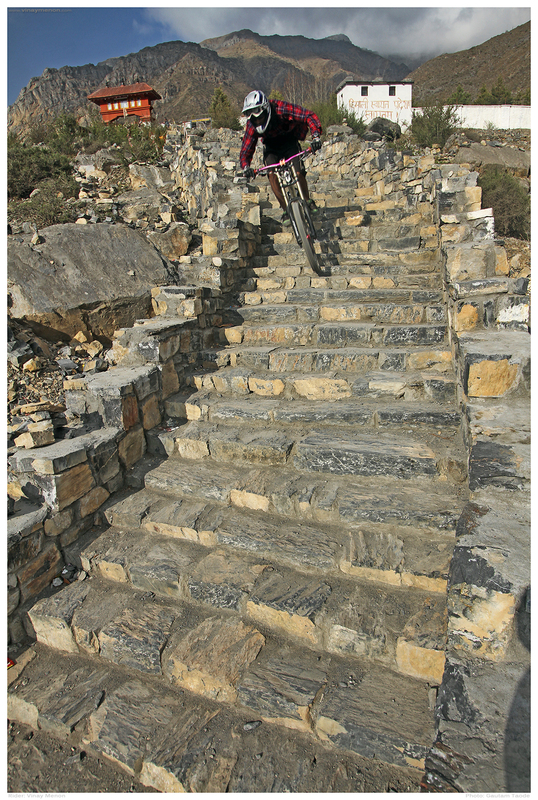 The natural features on the trails here are tons of fun to roll on. 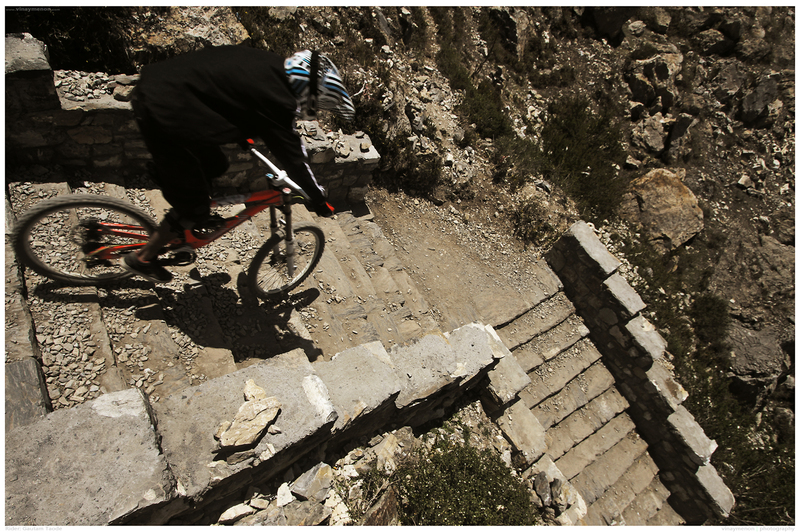 Steep faces, tight switchbacks, narrow walk ways; good start for the trip for sure. 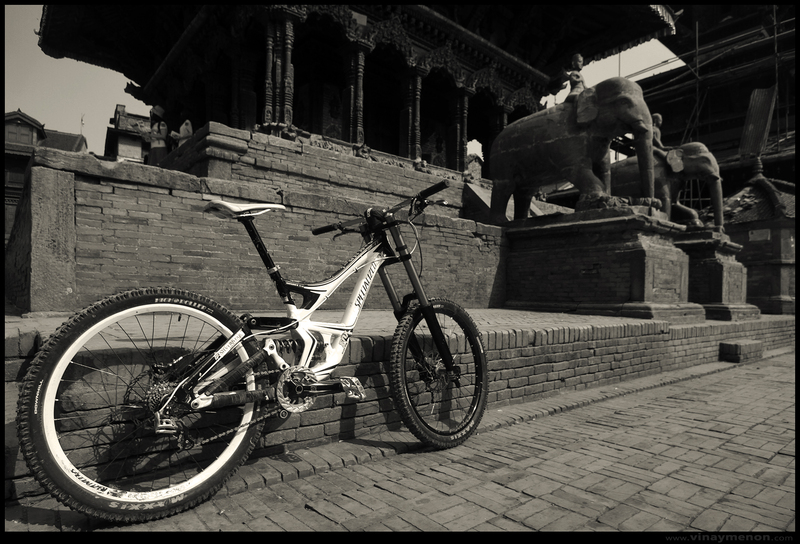 Post ride we landed at ‘Epic Bikes Store’, one of the leading bike shops in Nepal catering to the high performance mountain bikes market. After swiping plastic money for some new tyres and swag for my bike it was time to make room for Gautam Taode, as he was flying in later that day. 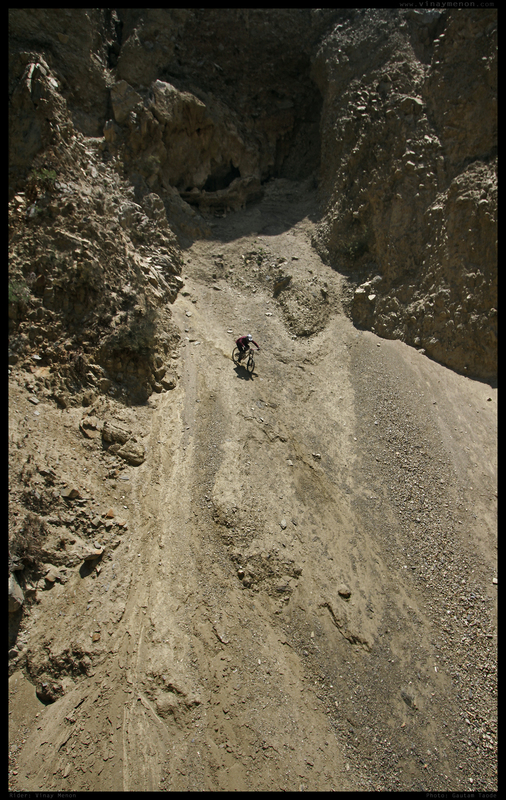 I wanted to visit the Mustang region of Nepal and ride its deserted mountain slopes this summer. As Tangi knew this area unlike anyone else, I gathered some important information and packed out in a Bus to Pokhara with Gautam. A quick drive through the evening and a halt at a preplanned hotel was part of the intended flow. 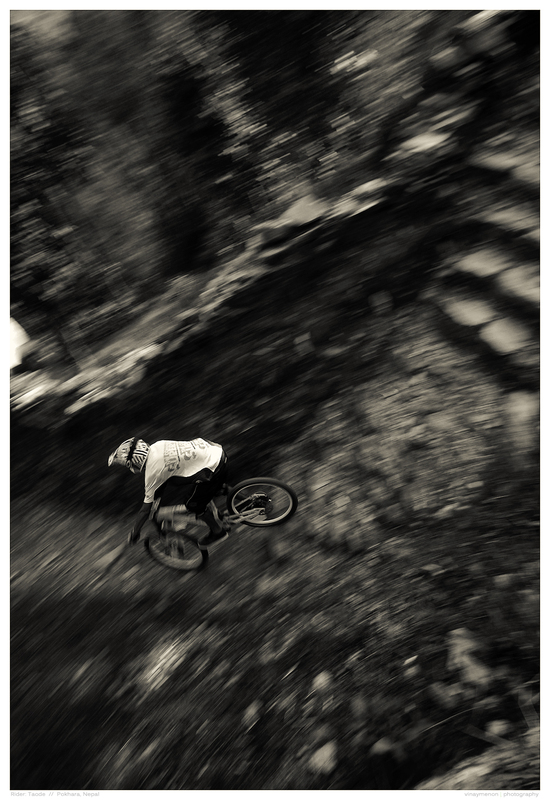 Next day we hooked up with Pokhara’s local shredders to hit some fine trails around town. 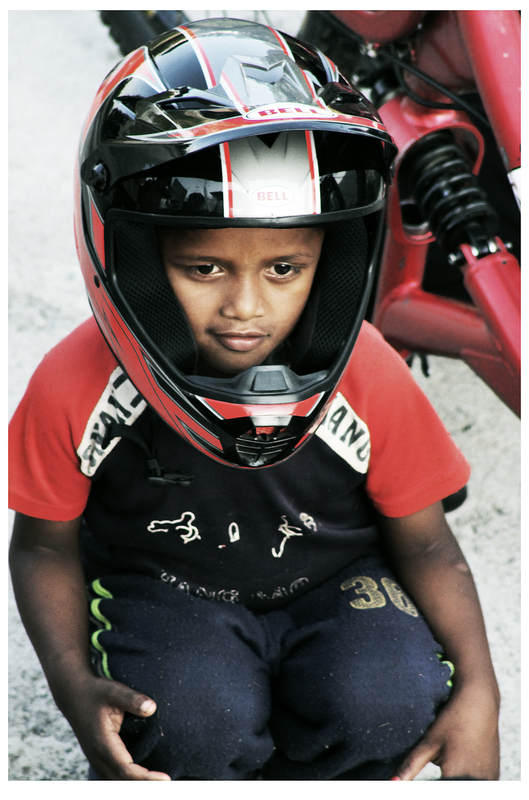 This ‘Pokhara Unit’, could bomb down the leech infested descents even if it were late into the dusk. After couple of runs down the walking trail it was time to head back to our hotel and pack our bags for the Mustang trip. 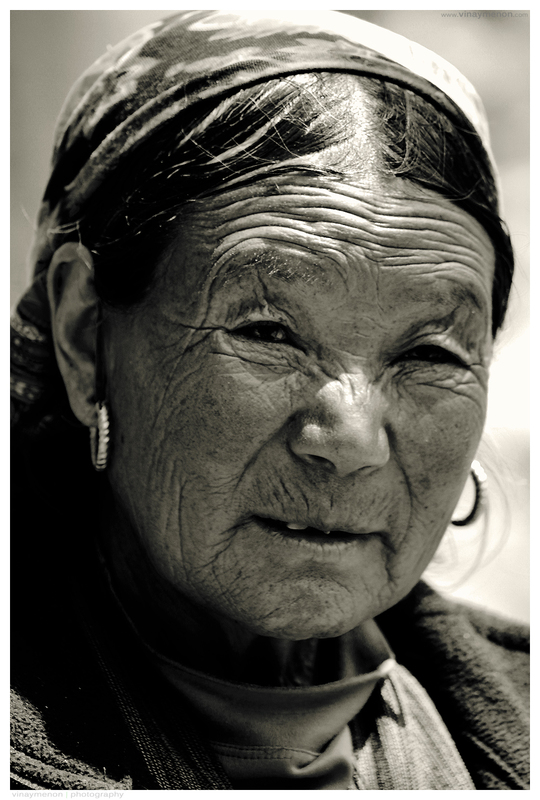 Come morning we had a flight scheduled for Jomsom. After a two hour delay due to bad weather we took off from Pokhara in a fifteen seater. 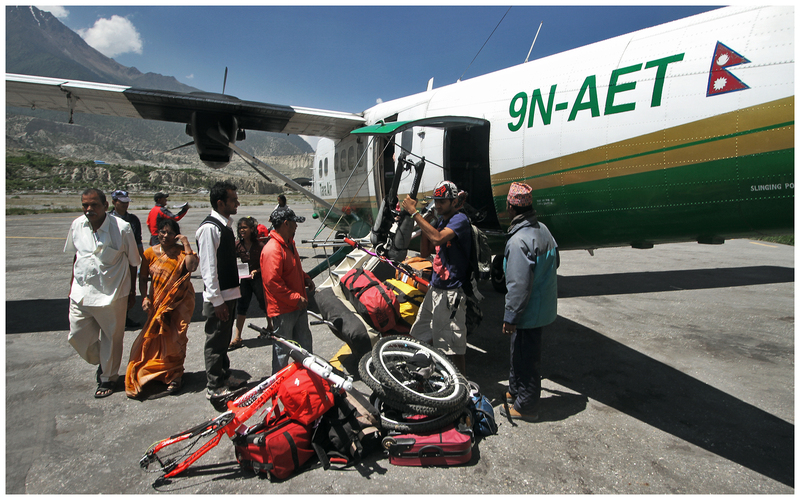 While the wind hit our dodgy scale craft pretty tight, a sunny Jomsom greeted us with stable landing. A forty five minute Jeep ride later we were in Kagbeni (2800m), a little village where we planned our stay through the week. 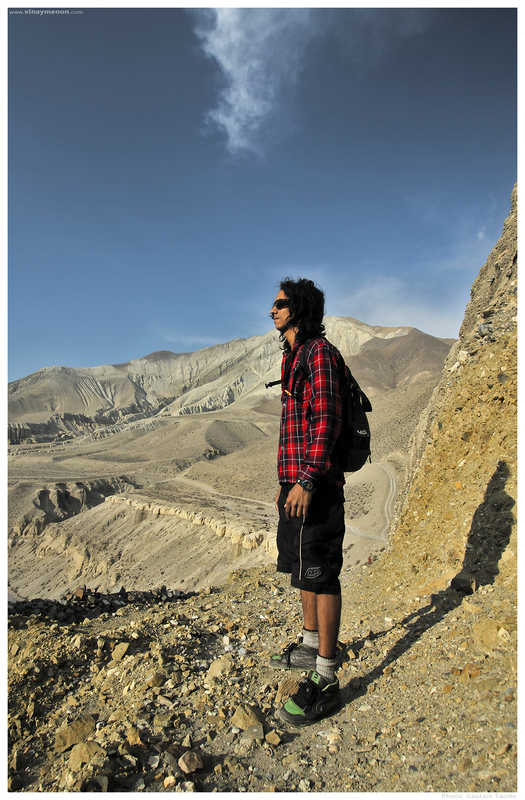 The following day Gautam and I opted to hike up to Muktinath (3710m) and scope some action zones along the hike. Five Hours into the walk we finally reached the Muktinath Temple before sunset. The temple premises with bells, flowers and monks around was surreal. The fragrance of incense and lit lamps would surely send anyone into a meditative state, especially after a five hour noon hike with a twelve kilo backpack! 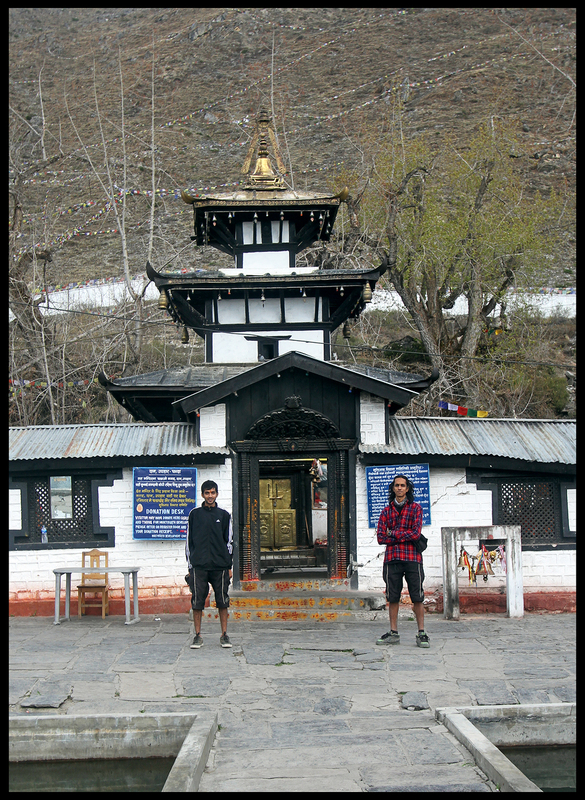 After a quick agreement with lord we decided to stay back in Muktinath area for the night. With abundance of lodges catering to numerous Indian pilgrims and other tourists who come visiting this divine place, it wasn’t difficult to find a room to crash for the night. 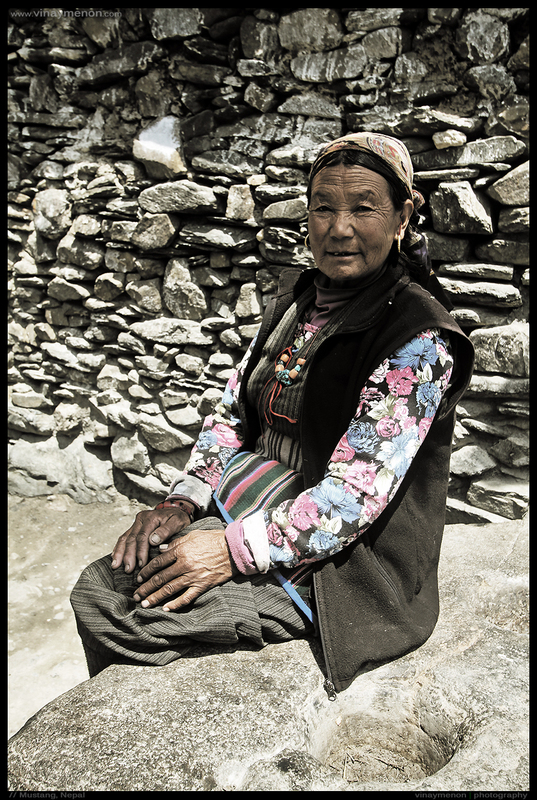 Once the sun was peeping in from the east side window, we cranked down the hiking trails from Muktinath to Kagbeni. 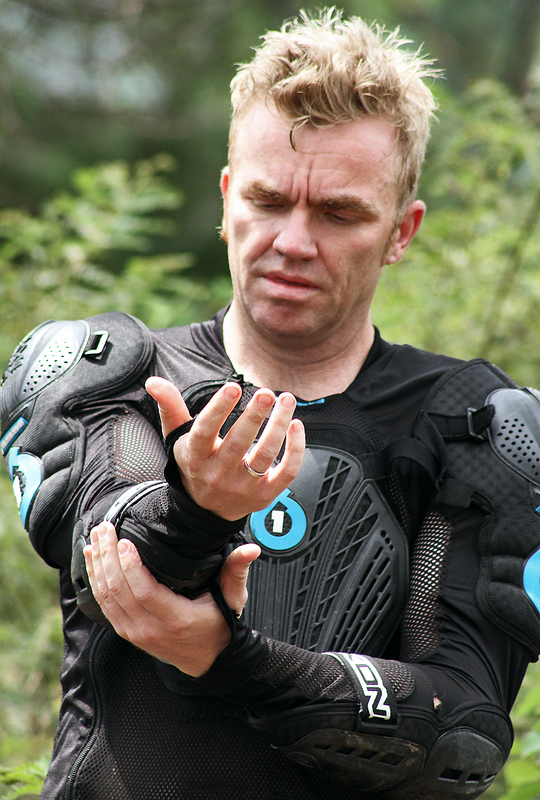 Previous days five hour hike up was now transformed into an hour of “on the saddle” decent. Fighting strong head wind through the noon spin, we were delighted to hit the pillow at “The Red House” Lodge in Kagbeni. This is one of the better places to bunk while you are moving across this deserted kingdom. Not to mention the tongue happy food. 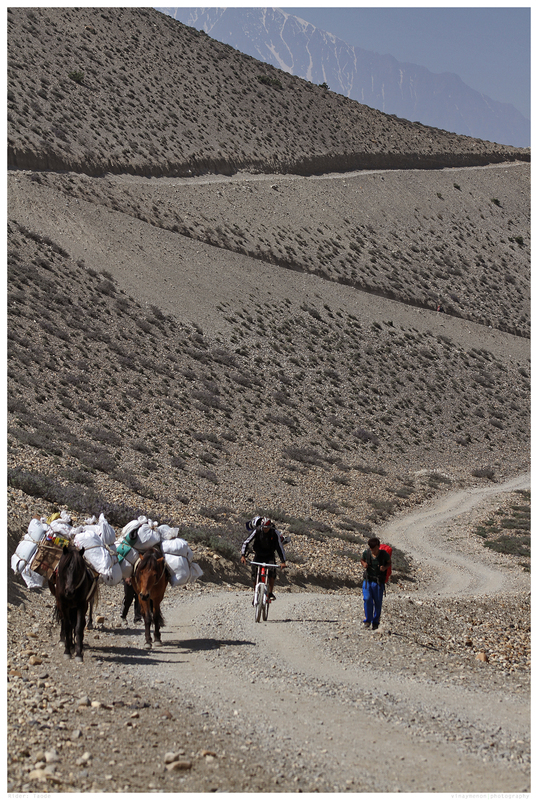 Next sunrise and oat porridge lead us to some wandering in the Mustang regions spell bounding mountain scape. 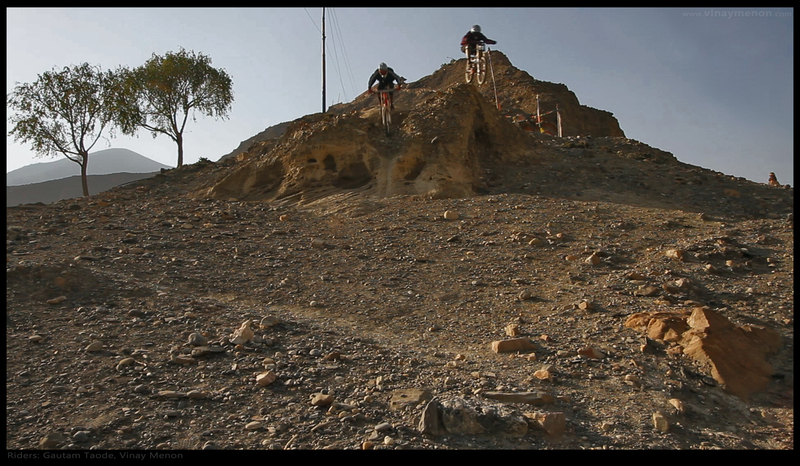 With some quick tripod assisted video clips on the CF Card we continued our ride. Within an hour of cruising around we reached our zone with old school chute lines and drops. Struggling with intense wind, I decided to stay low of the bigger drops and opted to roll down some fun chutes and ridges instead. 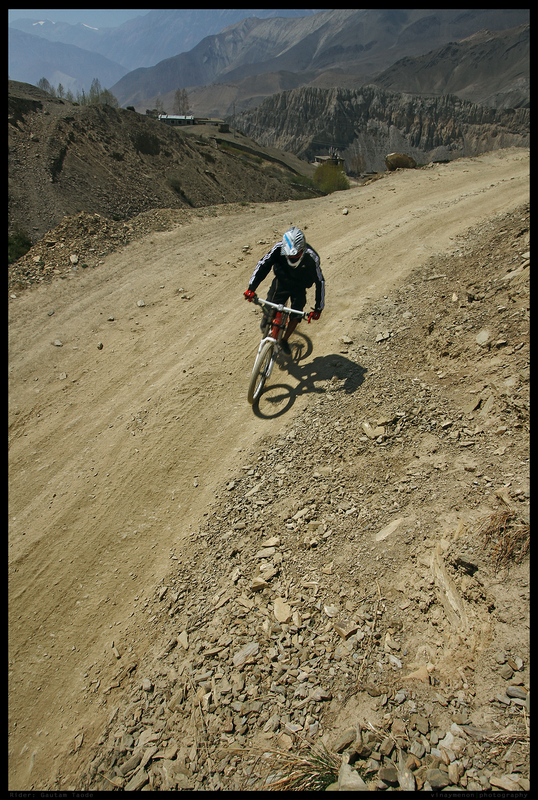 Dodging between bikes and Camera, Gautam and I ended up riding and capturing few fun descents and encounters with Yaks and mountain goats. 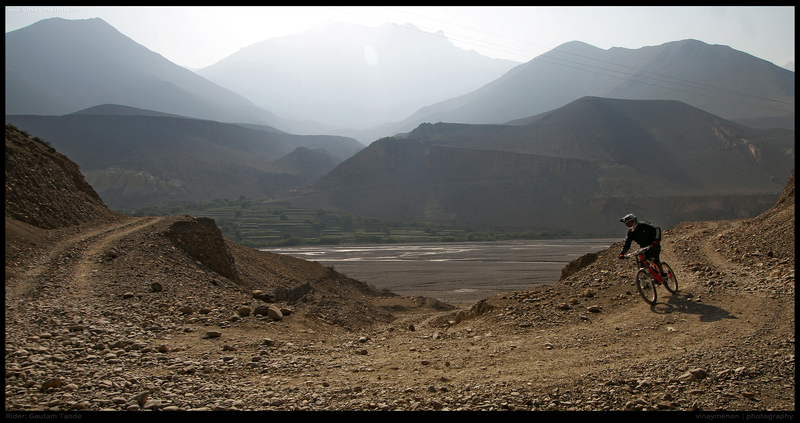 By evening we were sailing back to our lodge with the winds and Kali Gandaki River in sight. 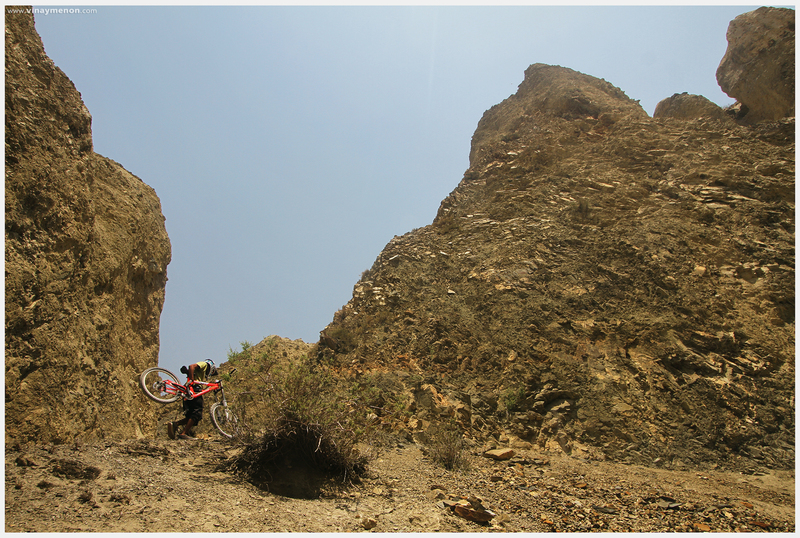 With Yak meat for dinner over a mug of Tongba, we summed up our final day of riding in Kagbeni. 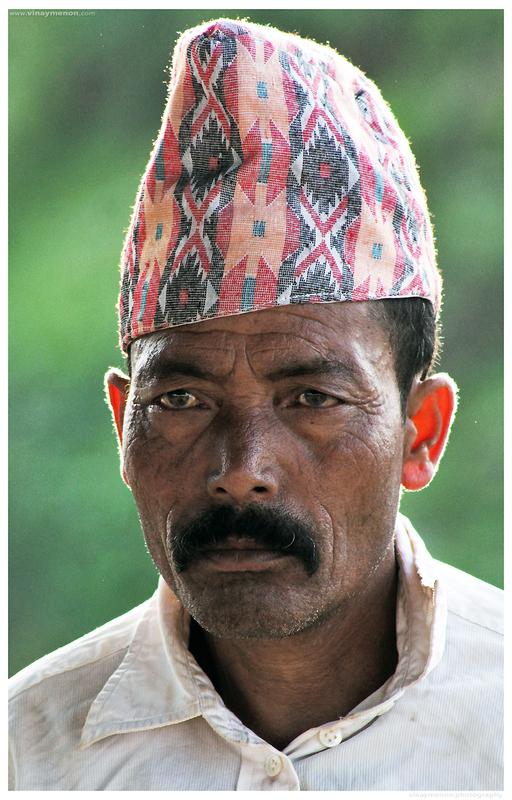 Our halt was cut short, as we had to reach Kathmandu before the constitution declaration date. We were warned about riots and bandh, following the declaration of a new constitution. 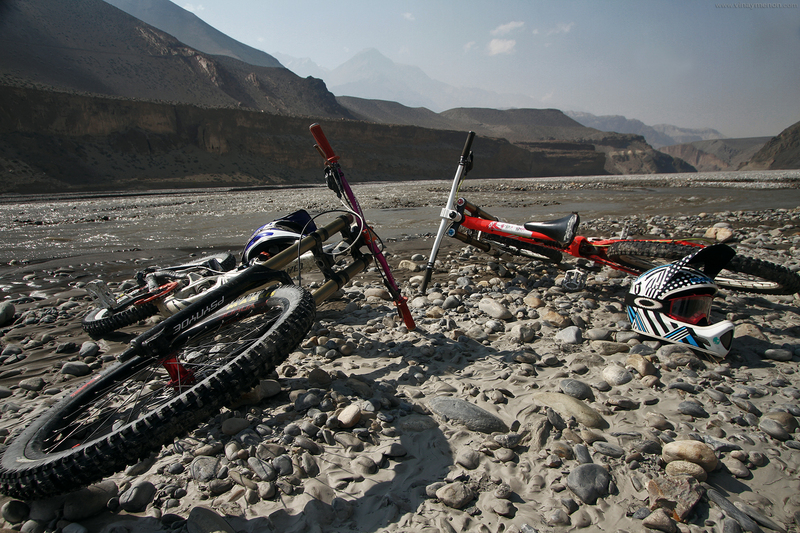 Since we’d already taken the air route into Jomsom earlier we decided to take the road back to Pokhara. 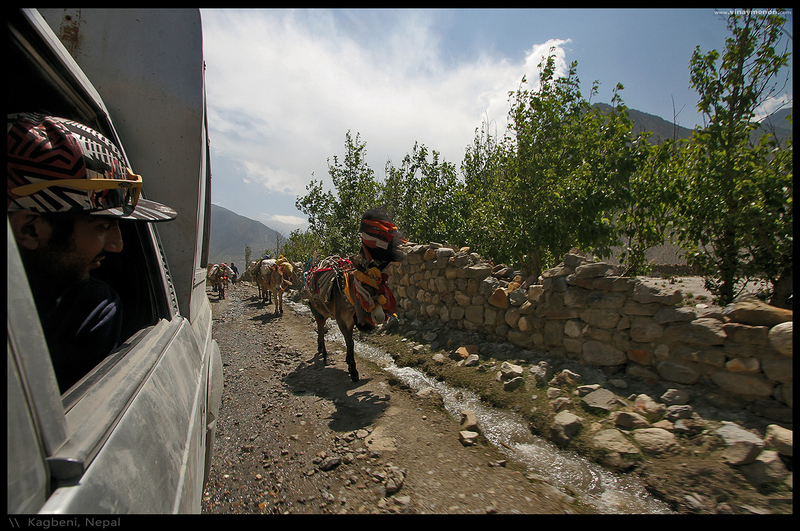 Starting with a Jeep ride from Kagbeni to Jomsom, on to a Bus to Ghase, on to another micro van to Beni. Through this entire drive we spent time on the bus floor, co-driver’s seat, other passenger’s laps! By the time we reached Beni it was 9pm and no cheap transportation to Pokhara was available over night. The bike bums that we are, we managed to hitch a ride on the roof of a bus heading to Pokhara, full of Indian pilgrims! 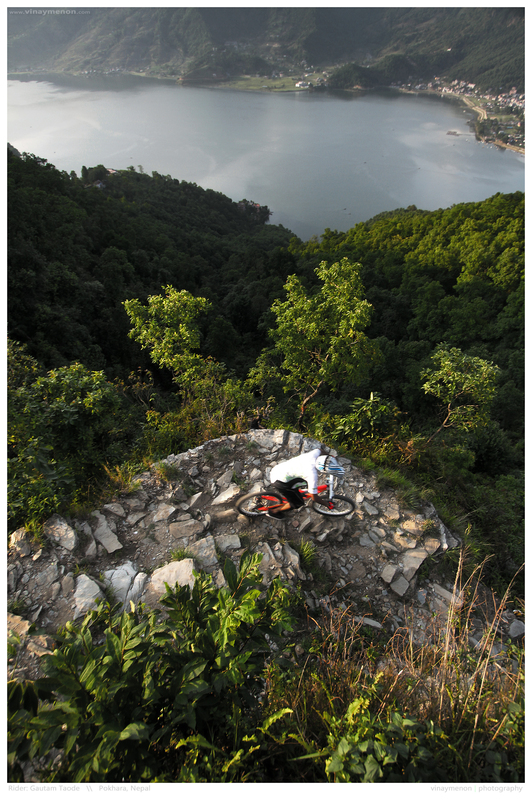 With bikes, bags, camera gear and ourselves on the roof top, it was a “one with nature” drive. Occasional slaps from tree branches and low hanging power cables we arrived into Pokhara, middle of the night with a bit of monsoon drizzle. 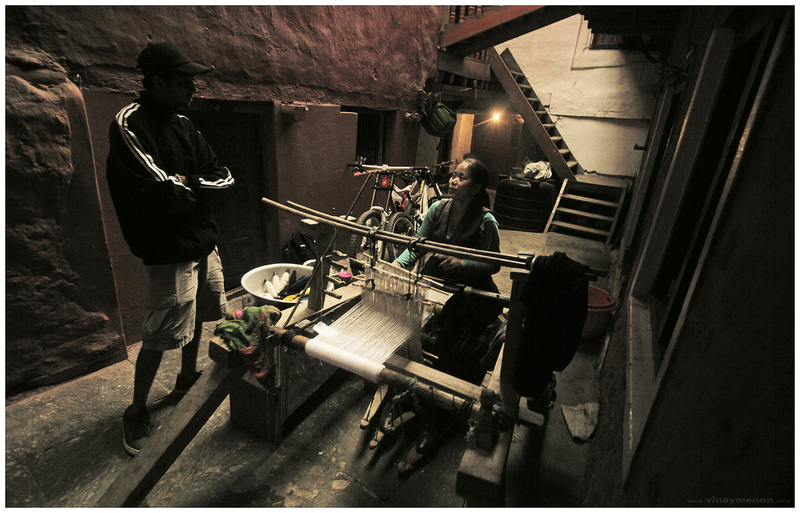 A night’s halt in Pokhara, a mini bus drove us to Kathmandu city the next morning. Finally making it to the city by evening with our bikes on the little roof, we made it in time before the constitution declaration day. But to our surprise, nothing happened, neither the constitution nor the bandh. So all the hurry, cutting our Mustang trip short was unnecessary. Well… In Kathmandu at Tangi’s place, we were enjoying home cooked pasta for dinner over some incredible mountain exploration stories. Fun nevertheless! The good thing about us making it to Kathmandu city early was that we were in time for the “Himalayan Outdoor Festival”. 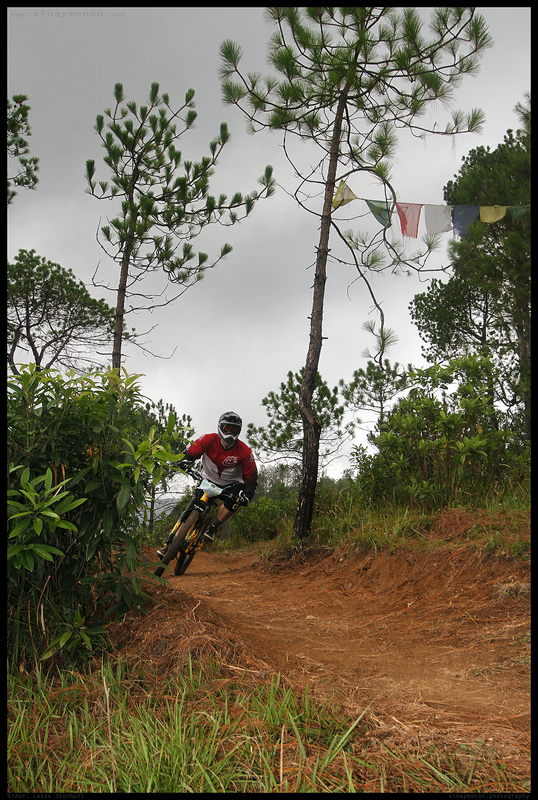 An event comprising of trail running, XC mountain biking, DH racing, artificial wall climbing, live music, camping and more. Rolling in the good times was complimentary! One of the DJs playing at the gig happened to be a friend’s friend. Good times spinning for sure! 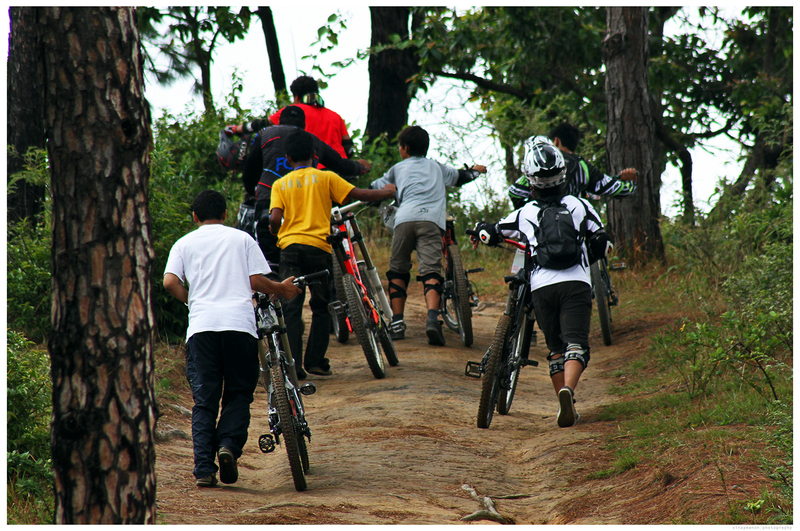 The mountain biking leg of this outdoor festival was organized by Chain bicycles, Epic bikes store and the Kathmandu Bike station in union. 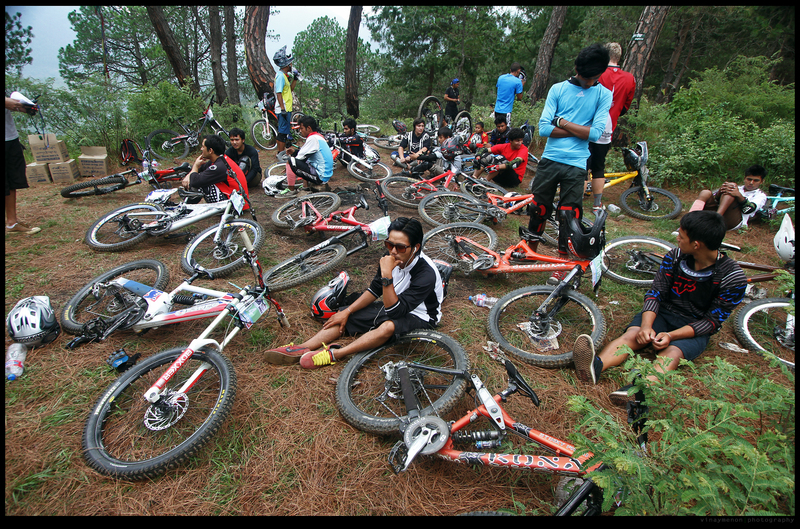 With a good turn out on the XC start line, the downhill race was equally packed. 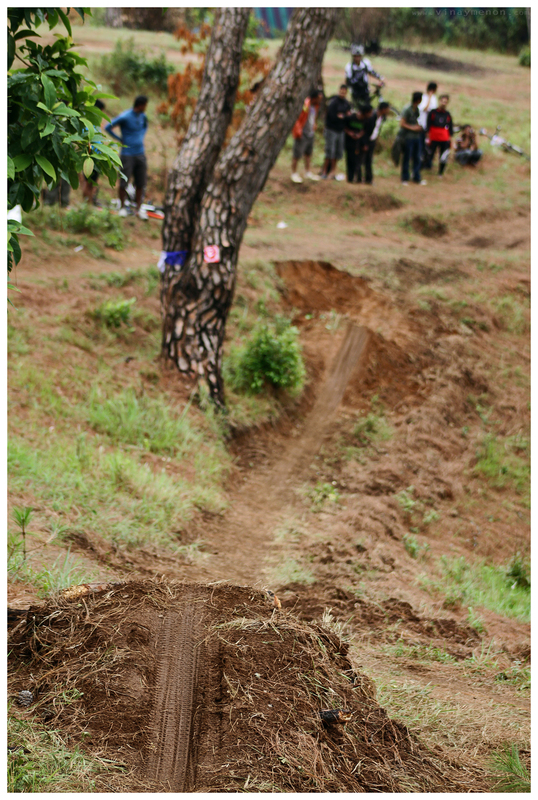 Kids as young as nine years were fighting it out on the two kilometer long decent with dirt hits into step-ups and tight berms. As the picturesque prayer flags lined across the trail and the finish line, Shajjan Rajbanshi, the local favorite won the race as expected. Pedaling his way through the finish line in a time of 1:39:19. 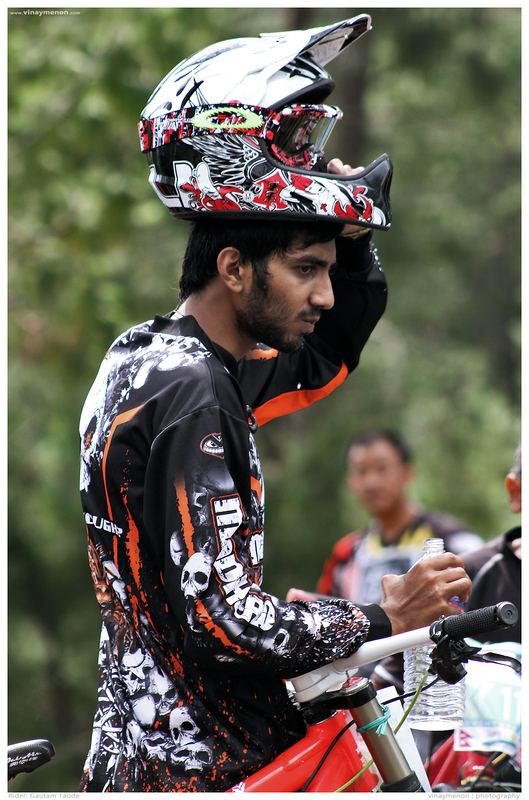 One of the biggest inspirations in the downhill mountain biking scene in Nepal, Shajjan spends major part of the year working in California and visits Nepal while preaching the high speeds of downhill mountain riding. Following his footsteps or rather the lines down the mountain slopes a large number of Nepali young guns are getting charged up for an international battle. 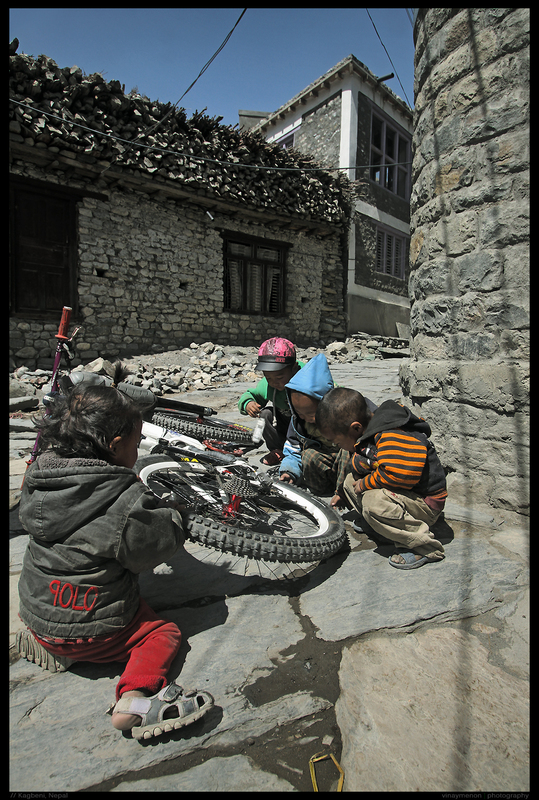 With good bikes and gear made available to the fast growing biker population of Nepal; Epic Bikes, Chain Bicycles and Kathmandu Bike Station are cooking a strong meal in the sports kitchen! 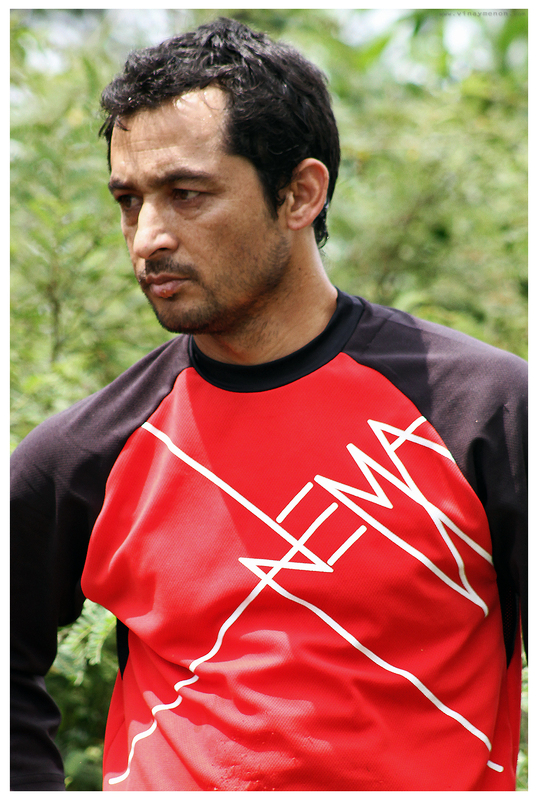 The future holds good times for the sport in Nepal if things move at the current speed. 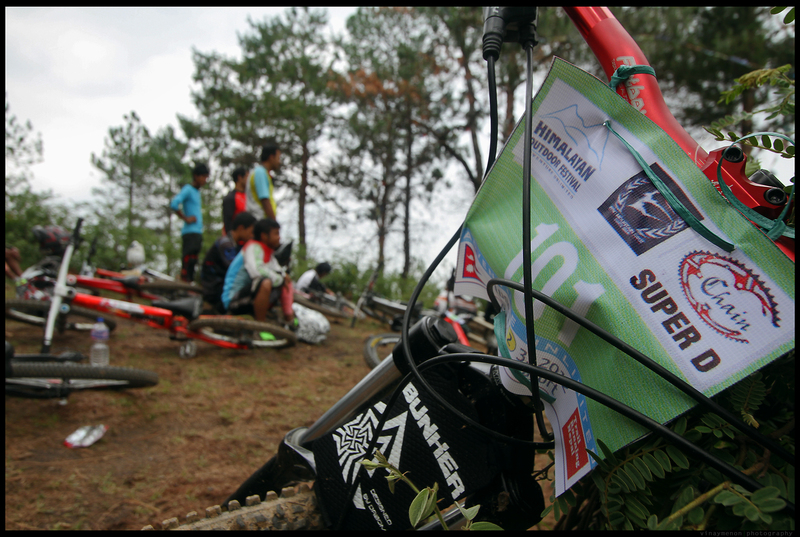 With the event wrapping up and Gautam finishing sixth in his final run at the Himalayan Outdoor Festival – 2012, the ‘Nepal – FyTwelve’ was a wrap. 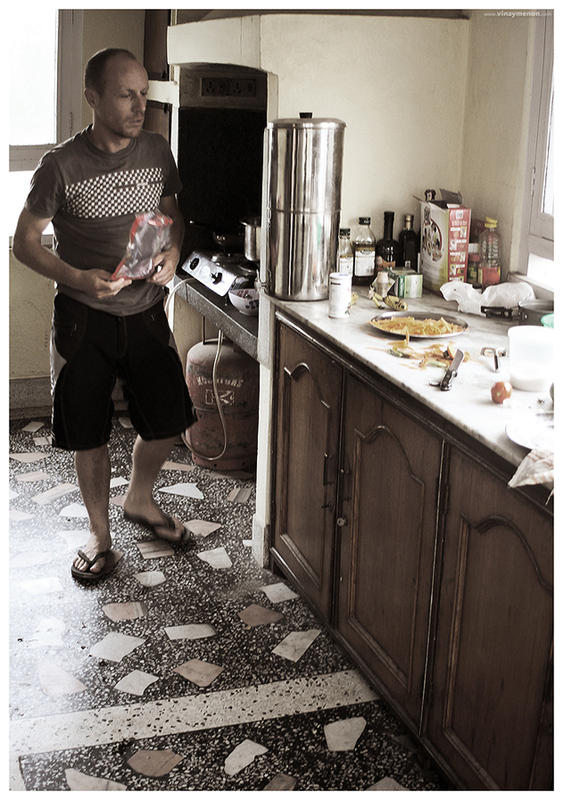 Over the weekend we packed our bikes out of Tangi’s house and flew into amchi Mumbai to breath in some ocean air.